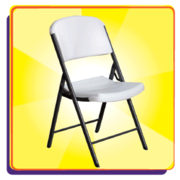 Need extra seating for your guests, Jumpin Jack Splash has you covered! 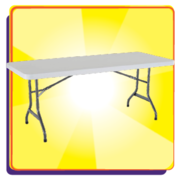 We have heavy duty table and chair set rentals for all occasions. 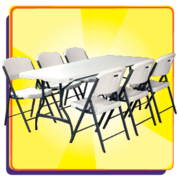 Our table and chair sets come with one six-foot table and six heavy-duty, high-density chairs. Tables and Chairs can be rented separately. Need shade? We have several canopies to offer 100sf of shade to keep you cool without the hassle of set up and tear down.We are a full-service party rental company; if you require bounce houses, water slides, or giant yard games we can provide those as well. Don't forget all the fun foods like sno-cones, cotton candy, popcorn machines, or a hot dog roller grill or a hot dog steamer.